This past summer the most amazing salvage show began airing on the National Geographic channel. I was completely mesmerized at the loot this crew found in old buildings. The show follows Jay Chaikin, who is a hard workin’ Carhartt wearing lover of all things vintage through abandoned buildings where they discover rooms that have been frozen in time. Full of valuable vintage items just waiting to be dusted off and re-purposed. Jay is a super nice guy and was kind enough to give me a personal tour of his barns filled with vintage treasures. He’s a real life nice guy. Humble. Gracious. And a touch of ants in his pants for creating something out of nothing. Which I can totally relate to, only Jay has the carpentry skills to make his dreams happen. Me? I can work a drill and a hot glue gun. But together, I think Jay and I can come up with some pretty spectacular items. Jay and his wife Ricki are the brains behind JC Woodworking and Reclaimed Relics. JCWoodworking’s primary purpose is to locate structures that can be rebuilt and rebuild them on your property if you’d like. Reclaimed Relics specializes in finding treasures in some of America’s oldest buildings. They sell industrial, primitive and architectural antiques. While some items are sold in their original vintage condition, some are re-purposed into high end furnishings. These items are only the tip of the iceberg! Jay has barns filled with windows, doors, industrial parts, cars…you name it, Jay has it. I was like a kid in a candy store! I envisioned tons of up-cycled projects that could keep Jay busy well into 2014. And lucky me, Jay will be helping me furnish my designer room at the Philadelphia Home Show this February. The designer room is a space I am given to furnish with as much up-cycled materials as possible. I’ll give you one hint – it’s a dining room. It will be full of rustic wood, industrial parts, and vintage fabrics and you’re sure to find something that you’ll want to reproduce in your home. I hope you’ll stop by and check it out. Jay will also be making some appearances in my room, so swing by and tell Jay how much you love his show. I’ll be keeping you posted between now and the Home Show opening (Feb 2nd) with sneak peeks of items that will be used in the room. And, check out the events page at the top of this page for times and dates of special events going on at the Home Show. Great show! 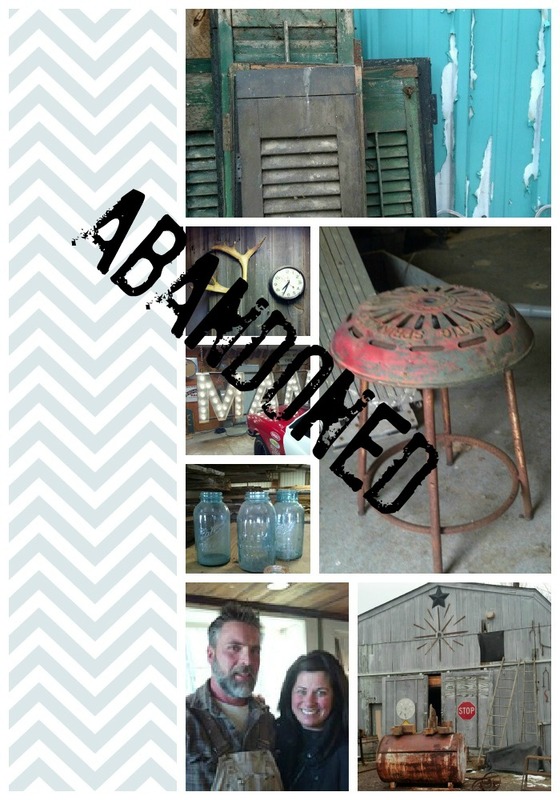 I find more and more homeowners who are interested in using reclaimed items. Its a great way to create a unique and personalized design and help the environment as well!